Happy Monday! It’s a beautiful day every day when we can open our eyes and say “Thank you lord” for allowing me to see another day of following my dreams, speaking my truths and living a life of purpose and possibility. I believe the universe hears and receives your offerings. 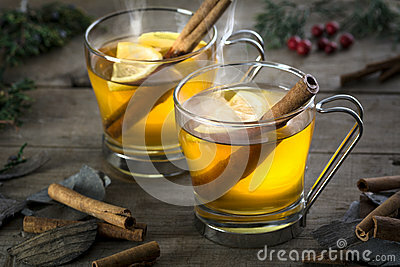 So, I begin my mornings thanking God for loving me, guiding me and carrying me through the storms. I awakened from a fitful sleep in 2008, determined to create a platform for women, that would champion the voice of the “underdog” and empower the power that we possess. I’d always served in some capacity of leadership, whether advocating for children in their communities and schools or recording the stories and voices of the elderly, who felt forgotten in the anesthetic environment of the hospital where I worked as a young nurse. My belief is that I’m being my best self when my work helps others and leads to positive change in some small space of their living. I’m happy with the work that I’ve done over the years and the achievements I’ve accomplished in the process, but I know there’s much I still need to do. There are plans to revisit my memoirs. I’ve attempted the process many times:) I remain focused on championing the voice of the “voiceless” and promoting Unleash Your Pearls Empowering Women’s Voices to women and the men that love and support them, on a global scale. I concede that my time, like yours, is valuable and therefore, I need to concentrate on doing valuable and meaningful work. 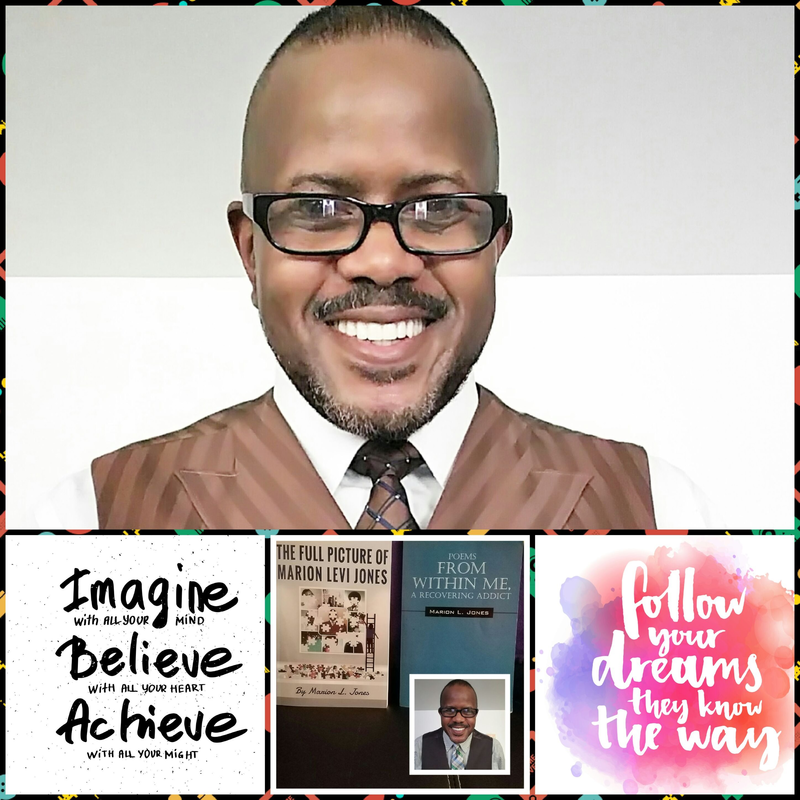 My mission is to ensure that this book, Unleash Your Pearls, lands in the hands and on the hearts and minds of every woman and man, in the nation who seek to unleash their authentic voice and live a more authentically empowered life. I humbly ask your assistance in this endeavor. Email unleashyourpearls@yahoo.com to purchase a signed author’s copy for yourself and for all the warrior women in your life. I will be taking an indefinite leave from my blogs in order to do work that makes a difference in my life and the lives of others. I’ve been asked to do more radio talk and recently published in The Book Of Hope Anthology by Krysta Gibson http://newspiritjournalonline.com/the-book-of-hope. 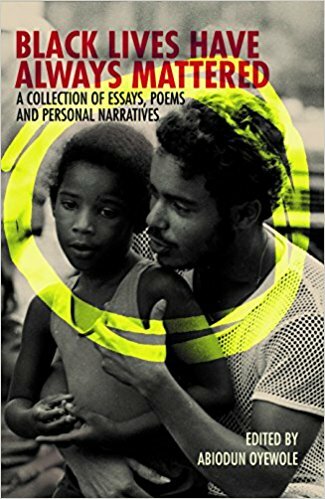 My personal narrative on life during Jim Crow was among the 88 contributors chosen from over 200 submissions for inclusion in the upcoming release anthology, Black Lives Have Always Mattered, a collection of essays, poems and personal narratives, edited by one of the original poets, Mr. Abiodun Oyewole and published by GABRIELLE DAVID of 2LeafPress. I hope you reserve your copy of this important contribution to America’s History. Happy Monday creatives! I hope everyone enjoyed their Easter weekend. Also remember it is National Autism Awareness Month. I wanted to end April on a positive note with enriching food for thought for those feeling overwhelmed in the struggle that comes from living life experiences. 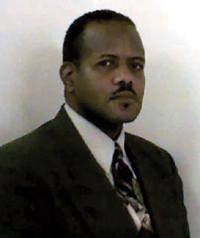 My guest today is motivational author and someone who has been there and survived that- Mr. Marion Levi Jones. Please join me in welcoming Marion to Clara54’s Writer’s Blog. I’m here to help others who were like me, to encourage, to motivate and lift their spirits to become better than they were when out in the streets. Show them that they’re not alone and here for a purpose greater than themselves. I was lost for over 35 yrs since my dad died but it took me until the age of 50 to hear a click and to get it right. God kept me even in my mess to become who He wanted me to be. Now I’m giving back. Was able to write about my drugging days in my first book Poems From Within Me, A Recovering Addict. Then how God changed me spiritually in my second book The Full Picture Of Marion Levi Jones. Eleven years clean and just last year became a Deacon in my church. So, if you need someone like me that will tell it like it is, please let me know. 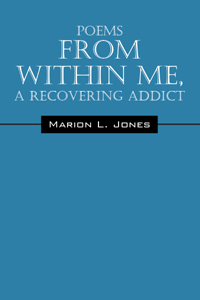 Marion L. Jones books share his story of how he made it through his trials and tribulations caught up in addiction. He informs his readers how there is always a road leading to a way out. His first book Poems From Within Me was completed in 2006, a gift he says was given to him by The Almighty. Happy Poetry Month, Creatives! I Hope you are enjoying the Me time of spring! My poems placed as a semi finalist in The Mary Shay Ballard’s Chapbook Poetry Prize in 2015 and 2016. Although I didn’t win the coveted prize, I felt and still feel strongly that poetry is cathartic, much like the healing hands of a nurse’s compassionate touch. So, as a special treat for my readers & critics alike, I’d like to share some of my work that forms the heart of me. And no, this work was not included in the competition. The more she tries to leave behind what’s hiding in the cornerstone of her being- the more that un-named thing seems to languish on the plateau of her subconscious mind. I have this ethereal relationship with what some suppose is ‘art’. It’s meshes with a worldview that oftentimes forms in the creative center of my brain, failing to connect the dots that will perform its call to duty. In poetry, words easily slip-slide away from thoughts formed by my conscious center to be overtaken by human emotions. Empathy takes ahold and goes about unearthing truths hidden inside personal pockets of space. This empathy calls me. Calls itself POETRY. Deliver me Oh Lord! For I am blinded and cannot see the gifts that you have given a mere creature like myself. I am annoyingly frustrated. I am a questioning being- imperfect but willing to try. And so I continue offering contributions to other human beings. The time came for me to put away the thought of opportunities and possibility in the realm of poetry. But, as I stand in the stillness of nature’s beginnings where birds chirp, bees swarm and the sun is shining down on the green grass growing beneath my feet- I wonder and my fingers itch to create something of similar beauty to share with the masses. Something feels sorely lacking and I walk away from what could be, to concentrate on the here and now and use my gifts and the skills and talents I have honed to set my eyes on the prize. Poetry should feed the soul. Flow like the swiftness of a soaring eagle’s wing upon the blank page and keep your nimble fingers moving in synch with the rhythmic flow of the unconscious mind where the need to create something worthy in the eyes of your colleagues and readers and others who call themselves “poet” and “poetess” and creators of expressed expressions-awaits to delight in and even judge its merit. I don’t have a name for it. It has been called “expressive” and “Intuitive”. It has been widely accepted by others with their own labels and I have swallowed the response I wish to utter, but I let it go and wish to stop the torture that calls to me, sometimes at the most inopportune times. Hello creatives! Happy Women’s History Month! I’m too happy to share that my book to empower the voice of women has launched! 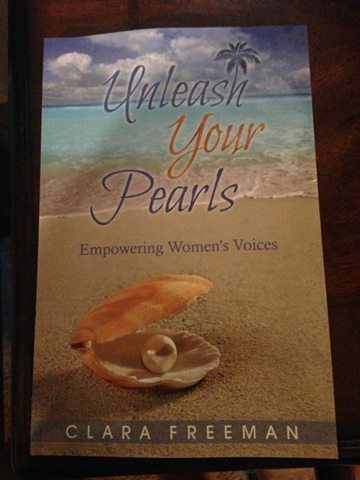 Yes, Unleash Your Pearls Empowering Women’s Voices is an added bonus in the celebration of women history, because it champions the voice of the “underdog.” I hope you all purchase your copy now, because I’m in the midst of sending out signed copies for women and church groups, family and friends. Email unleashyourpearls@yahoo.com or use the convenient contact info on the blog. So far, the book is being well received and I’m forever grateful and humbled. Hello creatives! First and foremost, let’s be clear. 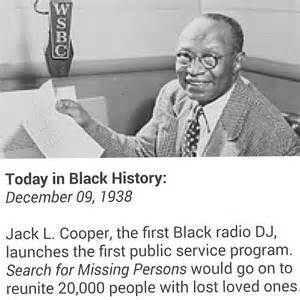 I’m black and proud every single day of my living, but, the month of February is not about me:) It’s about paying homage to all of those gifted and brave people of color who paved the way for me and others like me for generations past, present and future! 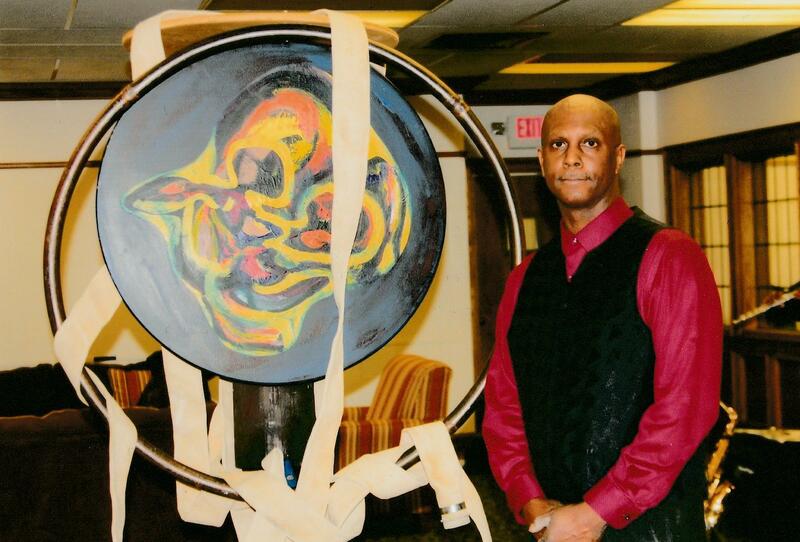 I stand in AWE of the Contributions that make Black History Month so special! Now that I’ve completed my six week free fiction writing course, How Writers Write Fiction 2016 For Storied Women, which I enjoyed immensely and obtained a writing buddy to boot, by the way, I’ve decided to take a well deserved holiday time out! But, I’m not leaving y’all high and dry here either. Here are a few 2016 Holiday roundups that are accepting fiction and poetry writing submissions in December. This is a last shout out for folks to submit something wonderful in 2016, before ringing in a brand new year. So, come on people, let’s do the dang thing! I hope there’s something here you might want to tackle and if you have a link to last-minute submissions for 2016, feel free to share. Wishing you all a very Merry Christmas and a productive and Happy New Year! Good luck in all of your writing endeavors and I hope to see y’all back here, sharing great news in 2017!